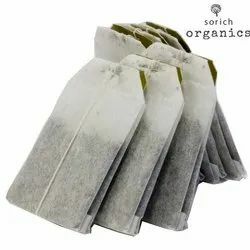 Prominent & Leading Manufacturer from New Delhi, we offer double chamber tea bag (staple-less), pyramid tea bag (nylon) and single chamber tea bag. Double chamber string and tag tea bags are quite similar to the Single chamber tea bags, although it offers far greater interaction with warm water. The finely powdered Pure Ceylon Tea essence is trapped in two sides which will be exposed to the warm water from four sides. This is possible due to the packaging done with a tunnelled opening from the centre, trapping the tea powder on either side of the tea bag walls. 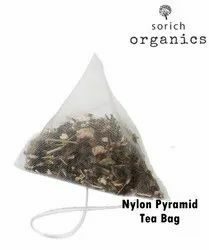 We are offering Pyramid Tea Bag For Private Labelling In Brand to our clients. 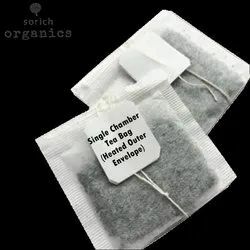 Single Chamber Tea Bag is available for Private Labelling and Packaging.